Handicap accessible. Transportation assistance provided to and from other Tucson jewelry shows. JCK Tucson is a curated destination of finished jewelry and loose gemstones from 130 of the finest designers and suppliers displaying one-of-a-kind collections amidst the beautiful JW Marriott Starr Pass Resort & Spa during the Tucson Gem, Mineral, & Fossil Showcase. Surrounded by picturesque natural beauty, this is the jewelry industry's winter oasis offering a relaxing yet productive environment for business and networking. Open to all qualified buyers, JCK Tucson is the event that offers the premier B2B industry experience that you can expect from a JCK Event. 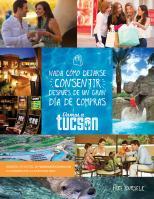 Visit http://www.jckonline.com/tucson for more details. For inquiries, please email: inquiry@jck.reedexpo.com.